People playing Ingress were in the area where a 33-year-old man was found dead. BURNABY, B.C. - Police are asking members of an online geo-tagging game community to help with their investigation of a homicide in Burnaby, B.C. The Integrated Homicide Investigation Team says people playing a game called Ingress were in the area of Smith Avenue and Moscrop Street on Wednesday night. 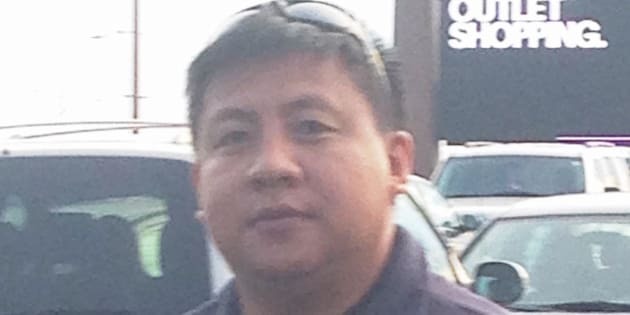 The body of 33-year-old Elmer Libertino was found in the area just after 3 a.m. the next morning. Sgt. Stephanie Ashton says officers believe Libertino travelled from Surrey, B.C., by public transit to the area of Kingsway and Boundary between 2 and 3 a.m.
She says there might have been quite a few people on foot in the area at the time and police are asking them to come forward to tell investigators if they saw anything. Ashton says Libertino has no criminal record or contact with police, and he has left behind a grieving family who want answers about what happened to their loved one. Ingress is a multi-player game created by Niantic Labs, a startup within Google, in which participants visit real locations to establish and link together "portals" around the world.